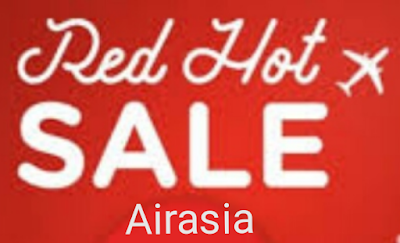 This sale offers a great advantage since no processing fee is charged for credit card purchase. 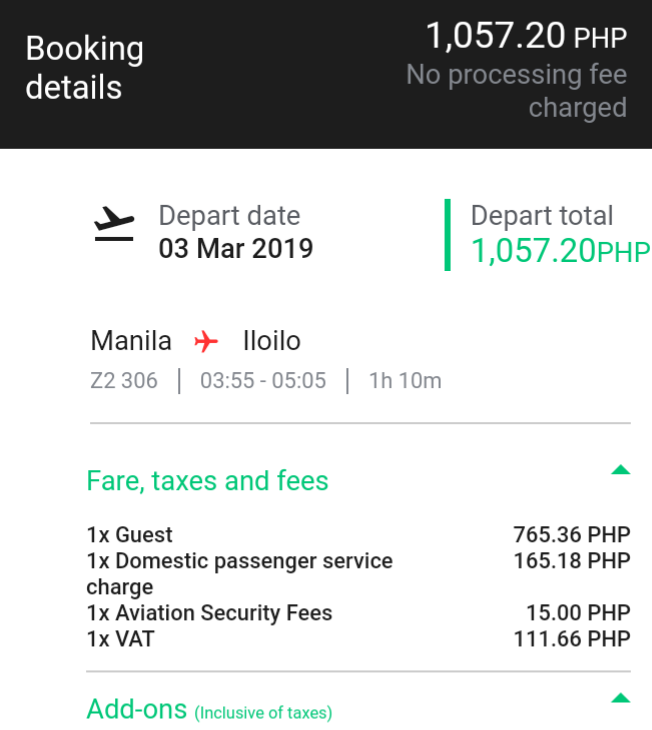 Sample bookings from Manila and Cagayan de Oro City are provided below. 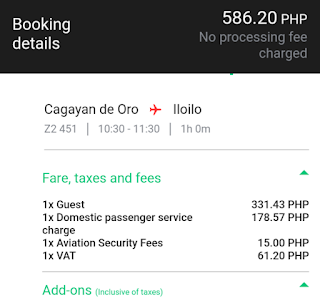 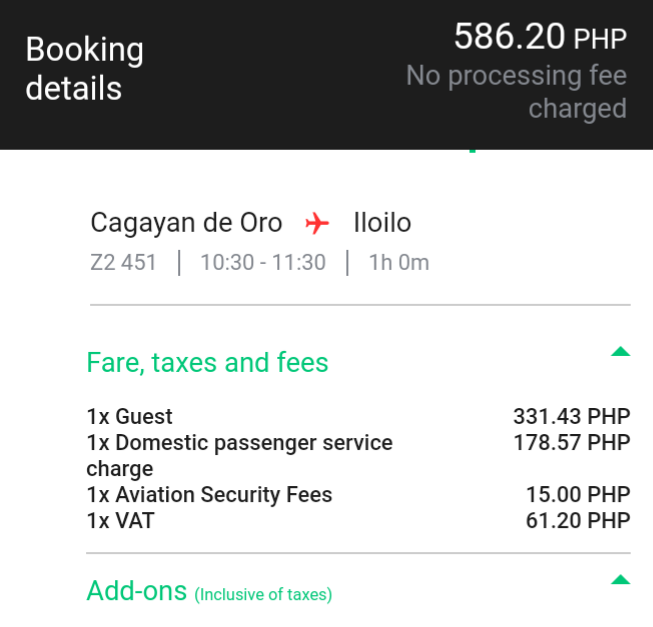 586php for flights from Cagayan de Oro City to Iloilo while 1057php from Manila to Iloilo only. 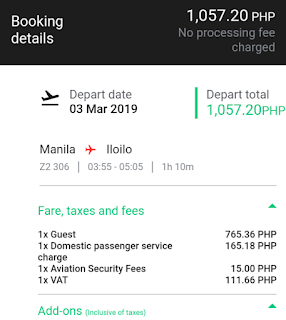 Travel period is from January 10, 2019 to July 31, 2019.